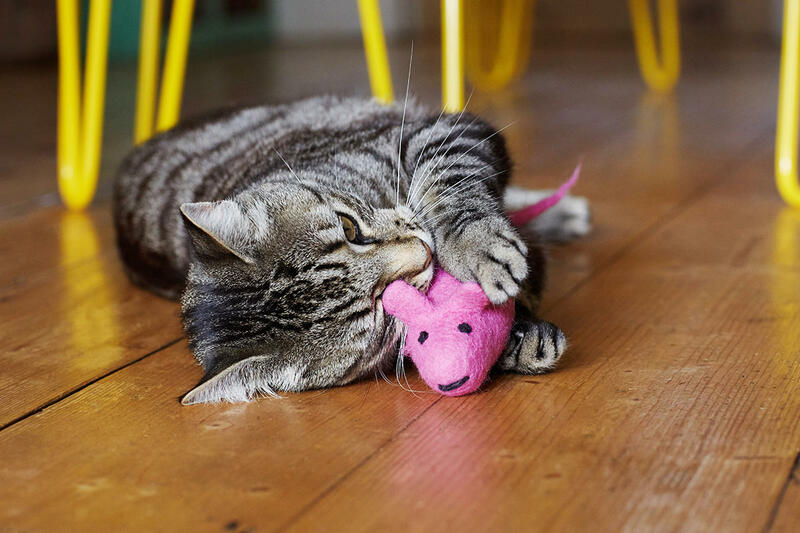 Available in 2 colour ways, Pink or Grey and handmade from soft merino wool, our cute rat cat toys are sure to liven up your cat's playtime. 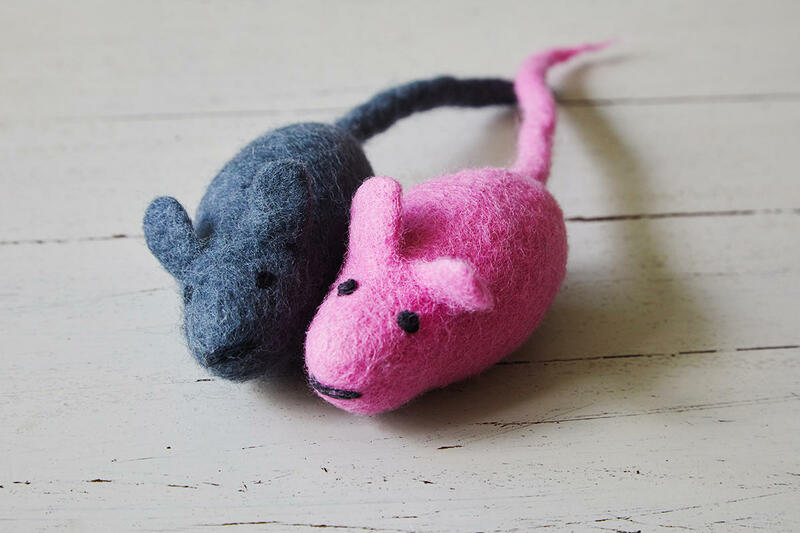 We infuse our felt rat toys in fresh, organic catnip herb - lightly scenting the wool. This makes them even more appealing to your cat. Size: each rat is 23 cm (approx) long. These cat toys are handmade by a community organisation in Nepal. Orders for our felt rat cat toys help bring much needed employment to women in the mountain villages. They are then scented with premium strength, organic catnip and packed in Bristol. Please note that this toy is designed for your cat to play with but they do not contain catnip in their construction and are unlikely to incite the same extreme reaction that can be caused by our catnip toys.